With Apple’s new HomePod smart speaker, the company is pushing it as a smarter speaker than Amazon Alexa, with better sound than a Sonos speaker. 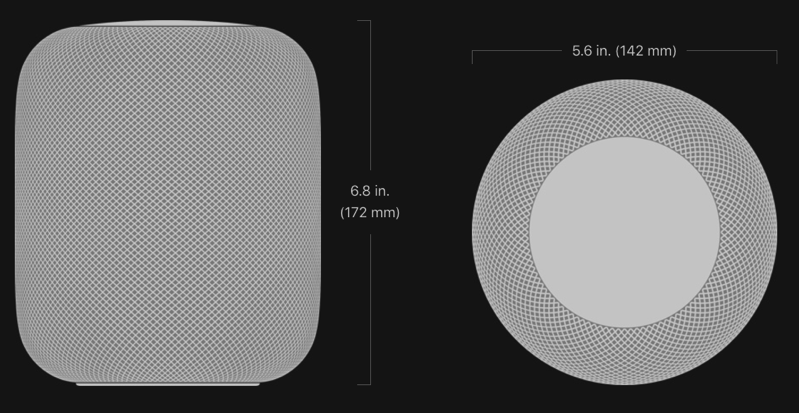 HomePod has seven beam-forming tweeters throughout, along with an in-house made 4-inch subwoofer, with the device being powered by Apple’s A8 chip. The device has room-sensing technology, which is supposed to modify sound based on its placement. 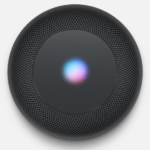 The speaker will respond to your “Hey Siri” commands. The device measures 6.8 inches by 5.6 inches (17.2cm by 14.2 cm) and weighs 5.5 pounds (2.5kg). Priced at $349 USD ($470 CAD), HomePod (who would’ve guessed that name?!) will debut in the U.S., UK and Australia in December, but the rest of world in 2018. That means Canadians will miss out on HomePod at launch, so start contacting your American friends and family now. We’ll update this post as more HomePod hands-on videos hit the web.